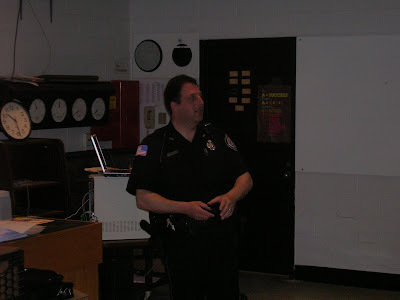 Officer Schipeletti came to the health classes to discuss traffic safety. His focus was to review/preview the rules of the road and how they relate to "crashes." He showed many videos that illustrate the importance of wearing a seatbelt. Students can be sure to see him again in the student parking lot handing out freebies to students that are buckled up.